SP Racing knows no bounds, we innovate with every new design while our competitors play catch-up! We created the ground-breaking Cleanflight flight controller software and design technology that pushes multi-rotor and model aircraft systems further every day. Brilliant new designs for your enjoyment! The SP RacingH7EXTREME has a 400MHz H7 CPU and DUAL SIMULTANEOUS GYROS. Use PID-Audio to listen to your tuning using BOTH the on-board MEMS mic AND the audio-output DIRECTLY from the PID controller! Solder-from-top design makes installation and maintenance simplicity itself. 2 Gyros, 12MB Flash, BMP388 Baro, a microphone, OSD, 12 DSHOT outputs, stackable with VTX and RX, 2 edge-mount buttons, camera OSD control, 5V BEC with PDB, transponder, 6 serial ports + more! 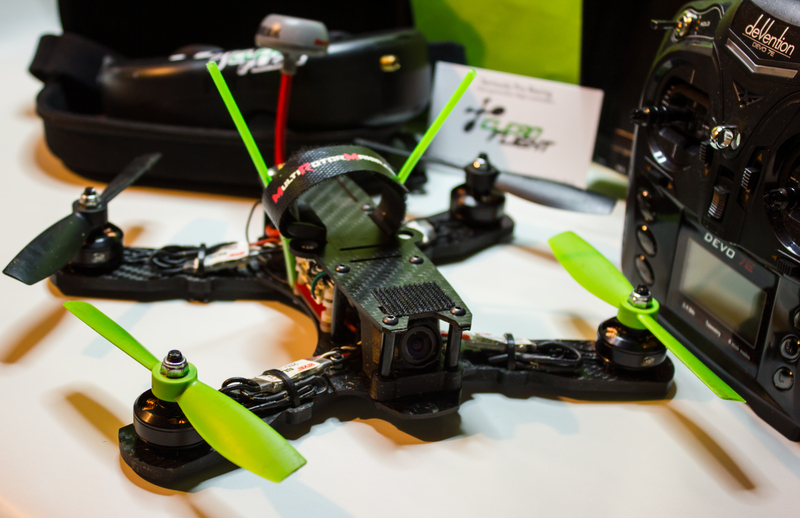 The SP RacingH7EXTREME has a 216MHz F7 CPU and DUAL SIMULTANEOUS GYROS. 2 Gyros, BMP288 Baro, microphone, OSD, 8 DSHOT outputs, stackable with VTX and RX, 2 edge-mount buttons, camera OSD control, 5V BEC with PDB, transponder, 5 serial ports + more! The SPRacingF4NEO FPV stack combines an FC/PDB + OSD/VTX to create an easy to wire, simple yet feature-packed FC system. This is an upgraded version of the F3 NEO, featuring same great easy-to-wire up board layout but now with a faster F4 processor. Excellent for beginners, experienced racers and freestyle pilots who want the very best! The NEO solder-from-top design makes installation a breeze, even if you've never built a drone before. The SPRacingF3NEO FPV stack combines an FC/PDB + OSD/VTX to create an easy to wire, simple yet feature-packed FC system. Excellent for beginners, experienced racers and freestyle pilots on a budget! Visit the SP Racing official shop to buy direct! Our awesome back-catalogue of flight controller technology products. Now available at heavily discounted prices in the shop! The SPRacingF4 EVO is a stackable pin-compatible update of the SP Racing F3 EVO. It features F4 processor and Gyro/Acc via SPI at very affordable price! The SPRacingF3OSD is a stackable On-Screen display and Power Distribution Board (PDB) system designed to stack with the SPRacing F4 EVO, F3 EVO, F3 ACRO & DELUXE flight controllers. Can also be used as a stand-alone IR lap timing transponder, just connect the LED and battery, e.g. via the LiPo balance lead! The SPRacingF3 EVO is a stackable pin-compatible re-design of the SP Racing F3. It brings in some of the features from the F3 Mini and uses SPI for Gyro/Acc/Mag connectivity at very affordable price! Dual-IR LED lap-timing transponder system integrated with a 5V regulator to power your onboard FC and RC gear. The SPRacingF3Mini is the new benchmark race-ready mini board for which no rival exists!